Influencers are among the most conspicuous, crucial, and contentious stakeholders pertaining to cyberbullying. As opinion leaders for young internet users, Influencers communicate with followers through their effective digital strategies applied across a variety of potentially-integrated digital platforms. This vernacular knowledge of digital environments sits at the intersection of relatability politics, attention gaming economies, and self-branding cultures. Unlike anonymous internet trolls, Influencers are nonymous self-branded personae, deeply invested in their reputation metrics. They are also unlike everyday users on the internet, being more conditioned to cope with negativity and social aggression, or even appropriating such negativity for revenge or to further promote their brand. Consequently, Influencers practice a variety of discursive strategies around cyberbullying, including positioning the self as victim, rival, and bully. 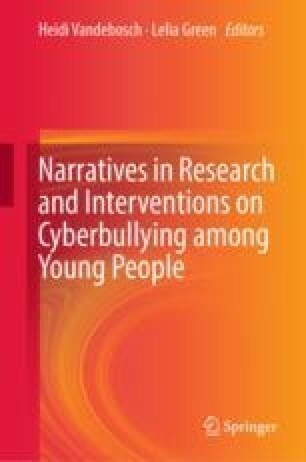 This paper discusses how Influencers develop and perform four positional narratives around cyberbullying, including: cyberbullying experienced pre-celebrity, in which they speak of digital tools as platforms for recovery and self-care; cyberbullying experienced with microcelebrity, in which they use their platforms to share coping strategies, steer and direct conversation among peers and followers, and advocate for internet safety campaigns; cyberbullying directed towards fellow Influencers, in which transient leadership on healthy internet culture and group policing emerges; and cyberbullying everyday users, in which notorious Influencers become perceived as anti-examples in local communities and new discursive spaces around internet visibility, voice, and responsibility open up in tandem with media virality. The data presented in this paper are developed from in-depth content analysis of the digital estates of a group of young Influencers in Singapore, and supported by ethnographically-informed interpretations from long-term traditional anthropological participant observation. Abidin, C. (2014). Privacy for profit: Commodifying privacy in lifestyle blogging. Selected papers of internet research 15: The 15th annual meeting of the association of internet researchers. http://spir.aoir.org/index.php/spir/article/view/918. Retrieved November 3, 2017. Abidin, C. (2015). Communicative intimacies: Influencers and perceived interconnectedness. Ada: A Journal of Gender, New Media, & Technology, 8. https://doi.org/10.7264/n3mw2ffg. Abu Baker, J. (2015). Protection from Harassment Act: 5 things you need to know about the landmark legislation. The Straits Times, 15 January. Retrieved November 5, 2017 from http://www.straitstimes.com/singapore/protection-from-harassment-act-5-things-you-need-to-know-about-the-landmark-legislation. Amnesty International. (2017). Amnesty International Report 2016/17: The state of the world’s human rights. Amnesty International. Retrieved November 1, 2017 from https://www.amnesty.org.uk/files/2017-02/POL1048002017ENGLISH.PDF?xMHdSpNaJBUNbiuvtMCJvJrnGuLiZnFU. DiFranzo, D., Taylor, S. H., Kazerooni, F., Wherry, O. D., & Bazarova, N. N. (2018). Upstanding by design: Bystander intervention in cyberbullying. In Proceedings of the 2018 CHI Conference on Human Factors in Computing Systems, Montreal 21–26 April. Retrieved March 19, 2017 from https://cpb-us-east-1-juc1ugur1qwqqqo4.stackpathdns.com/blogs.cornell.edu/dist/c/6136/files/2013/12/Upstanding-by-Design-2c0ielg.pdf. familyandlife.sg. (2015). Singapore is the Second Highest Nation of Cyberbullies. Scoop, 19 January. Retrieved October 11, 2017 https://www.scoop.it/t/teenager-by-goh-pei-en/p/4035522804/2015/01/19/singapore-is-the-second-highest-nation-of-cyberbullies. Hio, L. (2017). Campaign for a better internet launched, with focus on cyberbullying, fake news. The Straits Times, 7 February. Retrieved November 5, 2017 from http://www.straitstimes.com/tech/campaign-for-a-better-internet-launched-with-focus-on-cyberbullying-fake-news. Husna, N. (2017). COMMENT: A clear line between jokes and sexual harassment must be drawn. Yahoo! News, 13 October. Retrieved November 5, 2017 from https://sg.news.yahoo.com/comment-clear-line-jokes-sexual-harassment-must-drawn-044440897.html. Koh, V. (2015). MDA’s move reflects light touch towards content regulation: Analysts. Channel News Asia, 4 May. Retrieved April 14, 2016 from http://www.channelnewsasia.com/news/singapore/mda-s-move-reflects-light/1823322.html. Liang, H. (2015). Blogger Grace Tan Files Protection Order Against Xiaxue, Calls For Action Against Cyberbullying. Vulcan Post, 30 March. Retrieved October 5, 2017 from https://vulcanpost.com/207031/blogger-grace-tan-sues-xiaxue-calls-action-cyberbullying/. Loke, K. F. (2015). Naming and shaming online: Civic duty, or cyber bullying? Channel News Asia, 10 November. Retrieved October 11, 2017 from https://www.channelnewsasia.com/news/singapore/naming-and-shaming-online-civic-duty-or-cyber-bullying-8225534. Macháčková, H., Černá, A., Ševčíková, A., Dědková, L., & Daneback, K. (2013). “Effectiveness of Coping Strategies for Victims of Cyberbullying.” Cyberpsychology: Journal of Psychosocial Research on Cyberspace, 7(3). https://doi.org/10.5817/CP2013-3-5. Mak, I. (2014). A teen’s-eye view of cyber-bullying. Association of women for action and research, 22 January. Last accessed 7 December 2018 from https://www.aware.org.sg/2014/01/a-teens-eye-view-of-cyber-bullying/. Marwick, A. E., & Lewis, R. (2017). Media manipulation and disinformation online. New York: Data & Society Research Institute. Retrieved March 19, 2018 from https://datasociety.net/output/media-manipulation-and-disinfo-online/. Media Literacy Council. (2016). Best practices: Be a smart digital citizen. Media Literacy Council. Retrieved October 11, 2016 from http://www.medialiteracycouncil.sg/best-practices/Pages/values-and-social-norms.aspx. Ministry of Education. (2014). 2014 syllabus cyber wellness secondary. Ministry of Education Singapore. Retrieved October 11, 2017 from https://www.moe.gov.sg/docs/default-source/document/education/syllabuses/character-citizenship-education/files/2014-cyber-wellness.pdf. Ng, H. (2017). Socialite Jamie Chua withdraws anti-harassment suit against business partner. The Straits Times, 18 January. Retrieved October 5, 2017 from http://www.straitstimes.com/singapore/socialite-jamie-chua-sues-65-netizens-for-attacking-her-on-instagram. Premaratne, U. (2017). What to do if you are a victim of online harassment. The New Paper, 8 July. Retrieved November 5, 2017 from http://www.tnp.sg/news/views/what-do-if-you-are-victim-online-harassment. Reporters Without Borders. (2013). Government subjects news websites to licensing requirement. Reporters Without Borders, 30 May. Retrieved November 1, 2017 from https://rsf.org/en/news/government-subjects-news-websites-licencing-requirement. Reporters Without Borders. (2014). Reporters Without Borders calls for support for blogger Roy Ngerng. Reporters Without Borders, 17 July. Retrieved November 1, 2017 from https://rsf.org/en/news/reporters-without-borders-calls-support-blogger-roy-ngerng. Reporters Without Borders. (2017). Intolerant government, self-censorship. Reporters Without Borders. Retrieved November 1, 2017 from https://rsf.org/en/singapore. Sin, Y. (2016). Cyber bullying linked to self-harm among the young in Singapore: Study. The Straits Times, 11 March. Retrieved October 11, 2017 from http://www.straitstimes.com/singapore/cyber-bullying-linked-to-self-harm-among-the-young-in-singapore-study. STOMP. (2016). Home page. STOMP. Retrieved October 11, 2017 from http://stomp.straitstimes.com/. Tai, J. (2014). 1 in 4 secondary students ‘admits to cyber bullying’. The Straits Times, 14 July. Retrieved October 3, 2017 from http://www.straitstimes.com/singapore/education/1-in-4-secondary-students-admits-to-cyber-bullying. Telecom Infotech Forum. (2007). Singapore’s Broadband Future: the iN2015 Initiative. Retrieved November 3, 2017 from http://trpc.biz/wp-content/uploads/2007–06_TIF_SGsBBFuture.IN2015Initiative_BriefingPaper.pdf. Teng, A. (2015). Bullying takes on a whole new dimension in cyberspace. The Straits Times, 28 September. Retrieved October 20, 2017 from http://www.straitstimes.com/singapore/education/bullying-takes-on-a-whole-new-dimension-in-cyberspace. Today, (2017). Harassment over LGBT views unacceptable, says Shanmugam. Today, 27 June. Retrieved November 5, 2017 from https://www.todayonline.com/singapore/harassing-people-over-views-towards-lgbt-lifestyles-unacceptable-shanmugam. Yong, D. (2008). Virtual catfight The Straits Times, 20 July. Retrieved October 5, 2017 from http://www.straitstimes.com/sites/default/files/attachments/2016/07/21/9383952_-_20_07_2008_-_stsut_-_first_-_4.pdf.